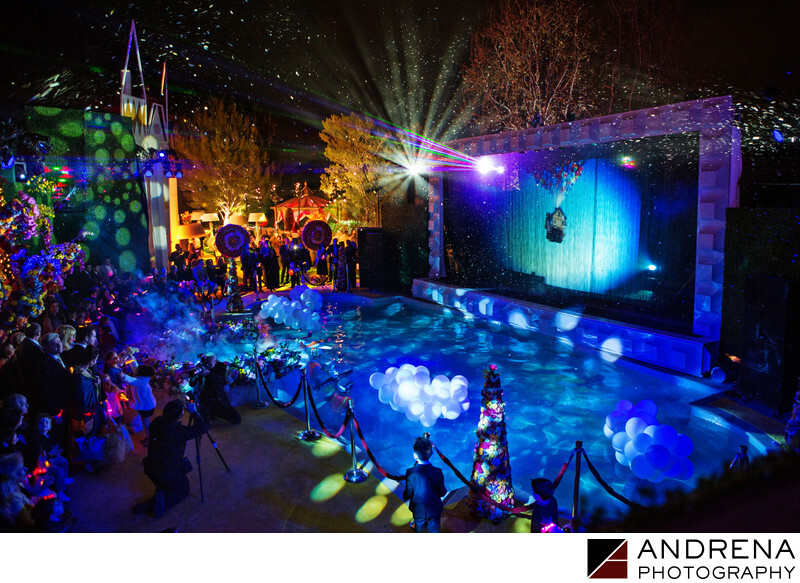 When a client invests in spectacular decor and performances, an event photographer must consider angles when seeking to create the best possible photograph. For this image, we arranged a ladder behind the sound equipment to ensure we could capture the full scope of this dazzling projected display and live performance. This one-in-a-million event performance photo would not have looked the same from the ground. This is why we always bring ladders to our events, as a high angle is often the best vantage point when seeking to create an image that shows true scale and scope.